Home » Blog » Start 2019 off with a good deed! Start 2019 off with a good deed! Our work doesn’t just happen in the warehouse. 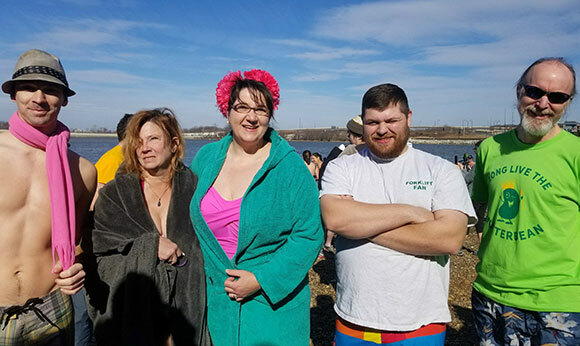 Every January, Forklift staffers, customers, and volunteers join the Chesapeake Climate Action Network (CCAN) for their Polar Bear Plunge at National Harbor. It is CCAN’s biggest fundraising event, powering victories to move our region off of fossil fuels and to clean energy. Thanks to CCAN, the green economy is growing! This is our sixth year supporting their work, and proving our commitment to fighting climate change by running into the icy Potomac River at National Harbor with activists from across the region. It’s cold, it’s wet, and it’s a GREAT TIME! Our fearless 2018 Forklift Freezers. 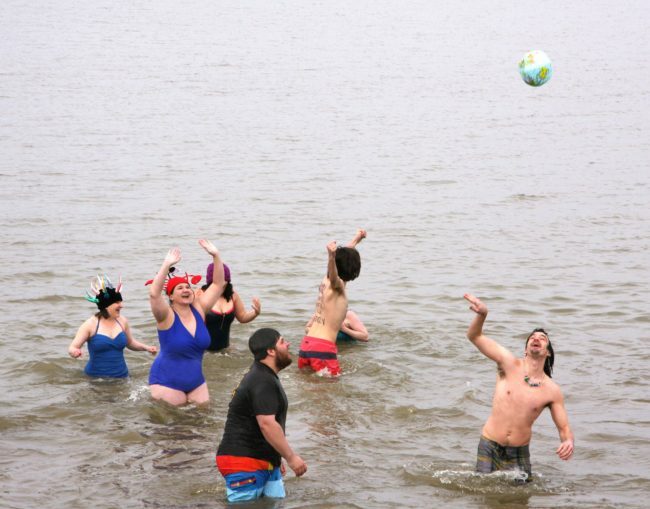 DONATE: CCAN asks plungers to each set a goal to raise $350 or more. Why 350? 350ppm is the level of carbon scientists say we must return to in order to keep winter cold. 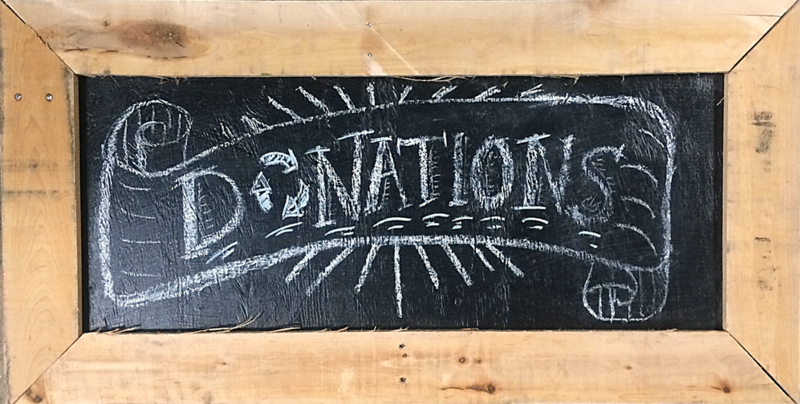 The Forklift Freezers have set themselves a lofty team goal of raising over $1,000 this year (and if we make our goal, the Forklift receives part of the proceeds for our work to create green jobs and reduce pollution!). If you’d like to support our icy recklessness, please donate to one of our plungers on the Forklift Freezers Team Page. Your tax-deductible donation to CCAN promotes policies that keep fossil fuels in the ground and advance clean energy in Maryland, DC, and Virginia. JOIN THE TEAM: We’re always looking for more fools…err, Salvage Superheroes…to plunge along with us. To become a Forklift Freezer, all you have to do is sign up and join our team online. Then start fundraising! If you join the team, please email Events(at)CommunityForklift(dot)org so that we can include you in our plans and make sure you get all the insider details. 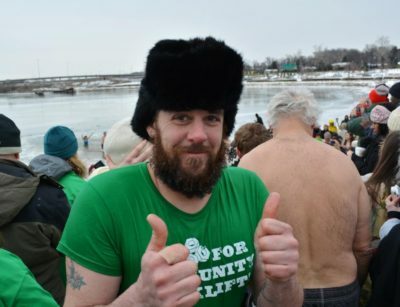 Forklifter Josh Bombeck at the 2014 Plunge. He was a mentor, a good friend, and a skilled craftsman, and he was a strong advocate for reusing historic materials, helping the community, and protecting the environment. Josh loved us and we loved him. We fund raise and plunge in his memory every year.